Many beloved Easter traditions have been celebrated for centuries, but you won’t find them mentioned in the Bible. So, where do Easter traditions come from? The history behind Easter Traditions is really interesting. The Easter bunny, for instance, was reportedly introduced to America by German immigrants who shared stories of an egg-laying bunny when they arrived in their new homeland. Decorating Easter eggs is believed to date back to at least the 13th century, and the ever-popular Easter parade has even older roots. Read on to learn more about the origins of Easter Traditions and brush up on your Easter Fun Facts Trivia. Do You Know Your Easter Fun Facts Trivia? Here are some of the most popular Easter traditions along with the history behind them. Probably the most recognizable Easter holiday tradition is that of the Easter Bunny. The exact origins are unclear, but rabbits are an ancient symbol of new life. 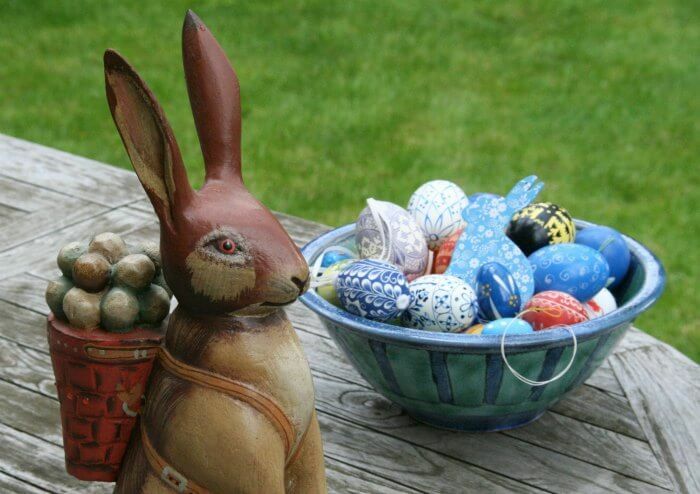 The Easter bunny first arrived in the United States in the 1700s with German immigrants who brought their Easter bunny tradition with them across the ocean. Their children made nests for the bunny to lay its colored eggs. 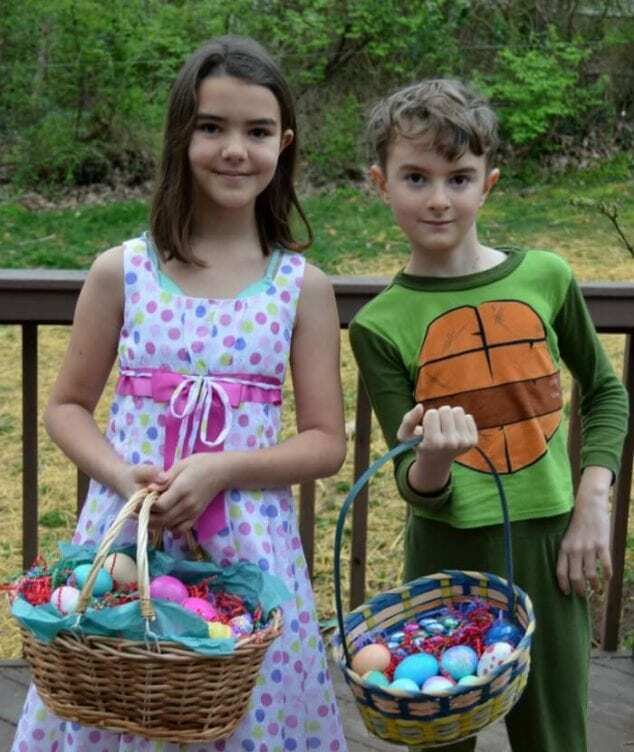 Eventually, the custom began to spread and the fabled rabbit’s Easter morning deliveries began to include chocolate, candy and gifts in baskets decorated with fake grass to look like nests. Easter is the second best-selling candy holiday in the U.S, right after Halloween. The most popular items include chocolate eggs, which date back to the early 19th century in Europe. Eggs have long been associated with Easter as a symbol of new life and Jesus’ resurrection. The jelly bean, an egg-shaped candy, was first associated with Easter in the 1930s. Over 16 billion jelly beans are made in America every year for Easter, according to the National Confectioners Association. That’s enough to fill a giant egg measuring 89 feet high and 60 feet wide. One of the most popular, and most recognized, Easter treat is the Peep. They’re made by Just Born, a candy manufacturing company in Bethlehem, Pennsylvania that was founded by Russian immigrant Sam Born in 1923. Peeps first hit the market in the 1950s. In New York City, the annual Easter Parade tradition dates back to the mid-1800s, when aristocrats would attend services at various Fifth Avenue churches then go for a stroll after services to show off their new spring outfits and hats. People of all walks of life started coming out to watch up and down Fifth Avenue. The Easter Parade is still an annual tradition in Manhattan, and Fifth Avenue from 49th Street to 57th Street is shut down to traffic for the it. Many cities and towns across the country have picked up this tradition and started their own annual Easter Parades. HOW DID THE TRADITION OF EASTER EGGS START? Decorating eggs for Easter is a tradition that dates back to the 13th century. 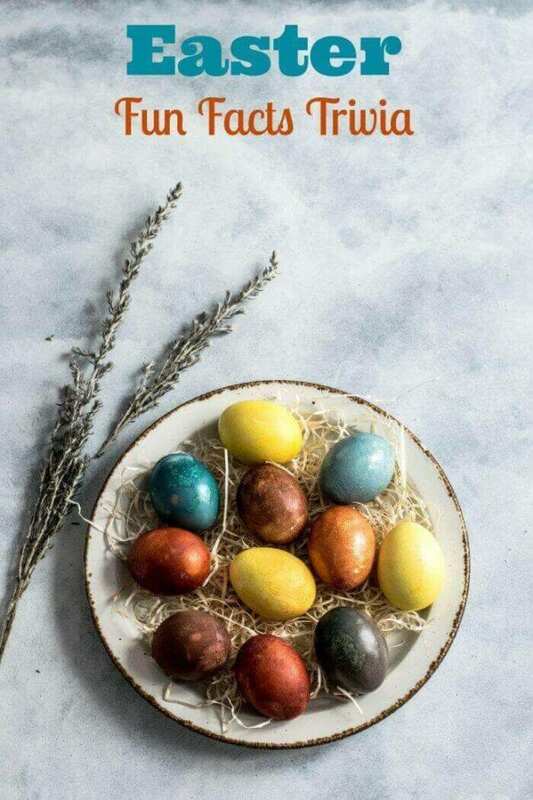 One explanation for the tradition is that eggs used to be a forbidden food during the Lenten season, so people would hand paint eggs to mark the end of the penance and fasting period; then eat them on Easter as a celebration. Easter egg hunts and rolls are somewhat popular traditions. The annual White House Easter Egg Roll across the White House lawn happens on the Monday after Easter. The first official White House egg roll was in 1878, when Rutherford B. Hayes was president. While the event has no religious origin significance, some consider egg rolling symbolic of the stone blocking Jesus’ tomb being rolled away, leading to his resurrection. We love the Easter Egg Hunt! Had you thought about the origins of Easter Traditions before? As Easter approaches, take some time to think about your family’s Easter traditions, what they mean, and how they got started. Maybe you’ll be inspired to start some new traditions this Easter! What is your favorite Easter Tradition? Which of these Easter Fun Facts Trivia were you most surprised to learn?